Governments worldwide have adopted the Sustainable Development Goals (SDGs) and are committed to attaining them by 2030. Moreover, they recognize that they cannot mobilize the necessary resources and capabilities for this purpose alone. Hence, they have called for cooperation from all societal stakeholders to assume responsibility and strive to contribute to the SDGs. This is leading to a new phenomenon whereby different kinds of non-governmental economic actors ranging from civil society, social enterprises, start-ups, firms and multinationals are aligning their strategies and reporting against the same objectives. In this regard, in the second SITE4Society workshop, we will explore what is happening in Maastricht. What kinds of efforts are being mobilized by organizations in Maastricht towards the SDGs? Which of the SDGs are attracting major efforts? How is the established institutional eco-system driving, helping or obstructing impact? How can we contribute to their performance through our research? 2. Which of the SDGs does it make a contribution to? How? 3. Is SDG impact the primary focus of your operations or is it deemed a positive output that occurs in addition? 4. How do you ensure maximum SDG impact? 5. How do you ensure that the SDG impact benefits your organization’s operations? 6. How is the established institutional eco-system of Maastricht or the Netherlands, driving, helping or obstructing impact? 7. How can the academic community contribute to your impact through our research? 8. 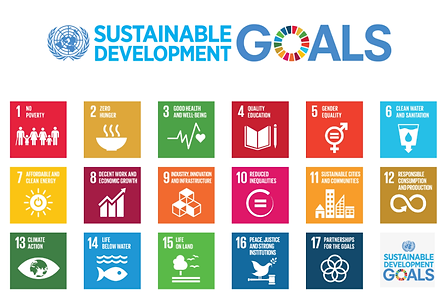 Do you think the SDGs are feasible as a set of goals to attain globally by 2030? From your experience what do you see as the challenges? We hope to see you on February 9 in the conference room at UNU-MERIT to make this event a successful learning experience! Organization Committee: Shyama V. Ramani and Serdar Turkeli of UNU-MERIT in partnership with the CSR+ Lab and The Green Office.